Without a doubt, Seoul is one of the most vibrant and exciting cities in the world. It is a beautiful barrage of sights, sounds, and smells. Seoul is thousands of people hurriedly moving through subway stations; businessmen clinking soju glasses after work; and endless cafés filled with starry-eyed couples sipping on sweet, iced coffee drinks. It’s taxis and food delivery motorbikes speeding by; locals grabbing some quick odeng or bindaetteok from seasoned street food vendors; and photos of Korean celebrities selling coffee or skin products. It’s buildings and lights and non-stop motion. With over 25 million people living in its metropolitan area, it’s also massive. 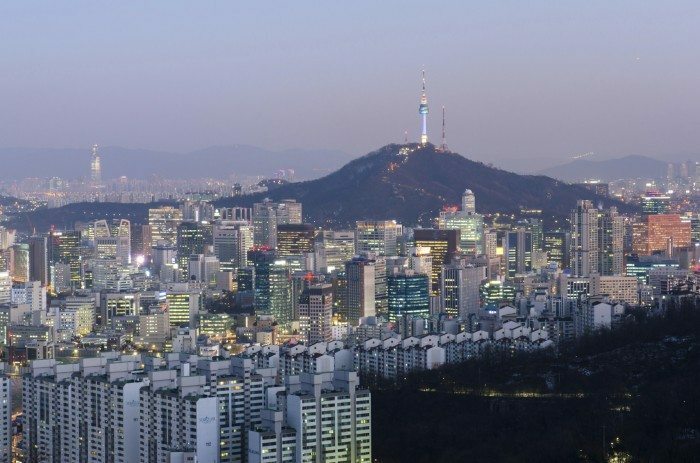 Seoul is the true heart of the country: not only is it South Korea’s economic, political, and cultural center, but it’s also home to over half of the population of South Korea. 600,000 foreigners also call Seoul their home, injecting a fair amount of diversity into what is otherwise a very homogenous country. 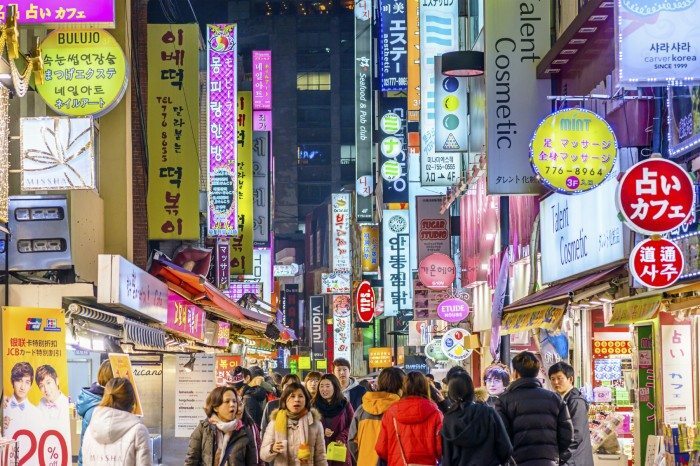 With delicious food, one of the best subway systems in the world, fantastic nightlife, great shopping, cutting-edge technology, and plentiful wifi, Seoul has a lot to offer travelers. Traveling to Seoul soon? Here are 5 things you should do there. To get a bird’s-eye view of Seoul and a feel for the dizzying scale of the metro area, head to N Seoul Tower. Located on Namsan Mountain in the middle of the city, Seoul Tower is a great place to begin your trip or escape from the congestion of the city for a little while. There is a cable car that takes you from the base of Namsan up to a viewing area and the tower. You can go up into the tower itself; there is a restaurant as well as an observatory where you can get a 360° view of Seoul. Below the tower is the Roof Terrace, a large wooden deck with fantastic views of the city (you don’t need to go up in the tower to see the view). In this area there are thousands of padlocks, or “Locks of Love,” with messages written on them attached to the surrounding fence. 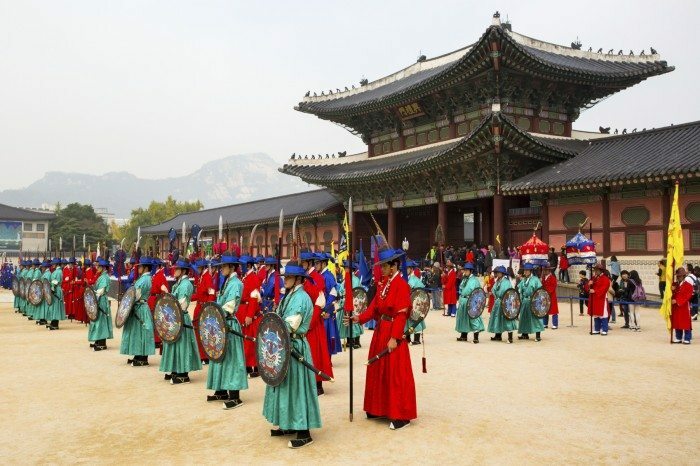 Gyeongbokgung served as the home of the kings and their households, and the government of the Joseon dynasty. The palace was originally built in 1395 but it was destroyed several times, including by Imperial Japan in the early 20th century. Only about a dozen buildings remain; there were once hundreds. Located at the northern end of Seoul’s main boulevard, Gyeongbokgung is easy to find. It’s very close to the Blue House (Korea’s version of the White House) and the U.S. Embassy. Give yourself at least an hour to walk around the grounds, and there are English tours available if you’d like to learn more about its history. The Changing of the Royal Guard and the Patrol Ritual, which happen daily between 10am and 3pm, are great photo opportunities. Be aware that it’s closed on Tuesdays. If you enjoy shopping, Seoul is the place to be. One of biggest and most popular shopping areas in Seoul is Myeong-dong (명동), a maze of streets and alleys encompassing several blocks near the center of Seoul. Here you’ll find a mixture of international brand-name stores, department stores, and Korean brands. 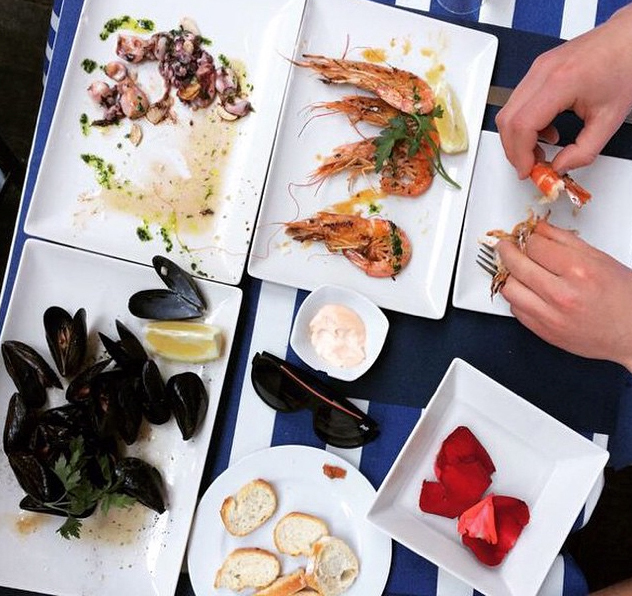 There are also numerous restaurants, food stands, cafés, and bars. Many restaurants here specialize in pork cutlet (pronounced “donkkaseu”) and kalguksu (thick noodles). One of the best restaurants for bibimbap is also found in Myeong-dong: it’s called Gogung (고궁). Find it here on Google Maps. Even if you’re not a baseball fan, attending a baseball game in Korea is a blast. Go for the food, people-watching, and the unique experience of being surrounded by thousands of happy, exuberant Koreans. 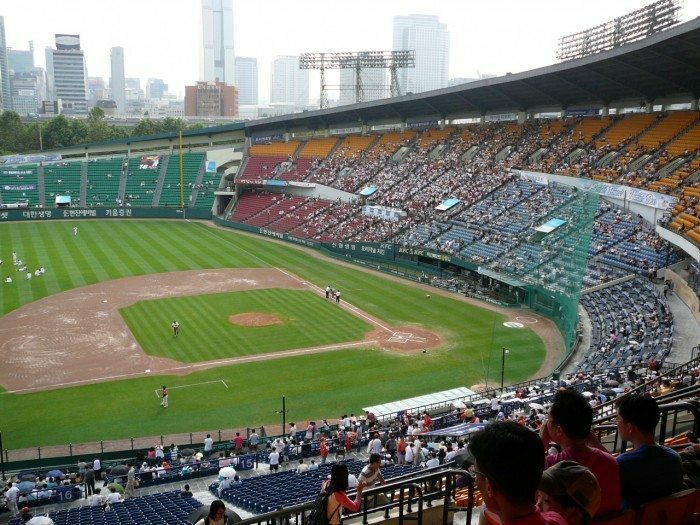 Jamsil Stadium is the home of two teams: the LG Twins and the Doosan Bears. It’s easily reachable by subway line 2 or by bus. Koreans are serious about their baseball; it’s not uncommon for bus drivers to listen to the game over the radio or to see businessmen intently watching games on their phones on the way home from work. And fans in attendance at games get into it. Really into it. They make American baseball fans look semi-comatose. At Korean baseball games, fans sit in sections according to what team they’re rooting for. The atmosphere is electric: fans cheer loudly, sing songs, dance, and chant, and there are cheerleaders and MCs keeping the enthusiasm up. Each player even has their own theme song. Food is cheap and deliciously unhealthy: order some fried chicken and beer (classic Korean baseball dishes) and take in this very Korean experience. You can buy tickets from the team websites (www.lgtwins.com; www.doosanbears.com) or at the stadium. The DMZ is a bizarre and memorable experience, and one that you should include in your itinerary if at all possible. Being an incredibly dangerous area outside of Seoul, you can’t just rent a car and drive there; you have to visit with a special tour group. There are several companies that run tours from Seoul. 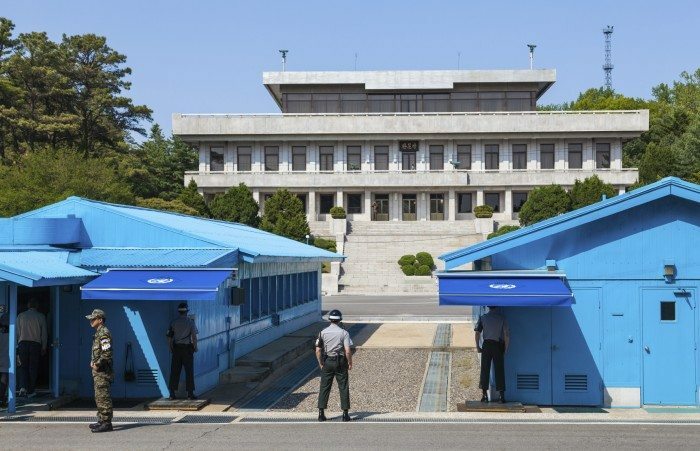 While some tours take visitors to multiple locations in the DMZ such as underground tunnels that North Korea built and an observation deck where you can see the North, the most fascinating stop is the Joint Security area, or JSA. The JSA is the iconic place where South and North Korean soldiers stand facing one another. During the brief time that you’re allowed to be there, you can watch this scene and take pictures. If you’re lucky, there will be North Korean soldiers on the other side, but like the South, the soldiers only stand there if there are tourists (on the North side) present. You’re also taken into a conference room which lies on the line separating the two sides, where you can actually cross the line and stand in North Korea. 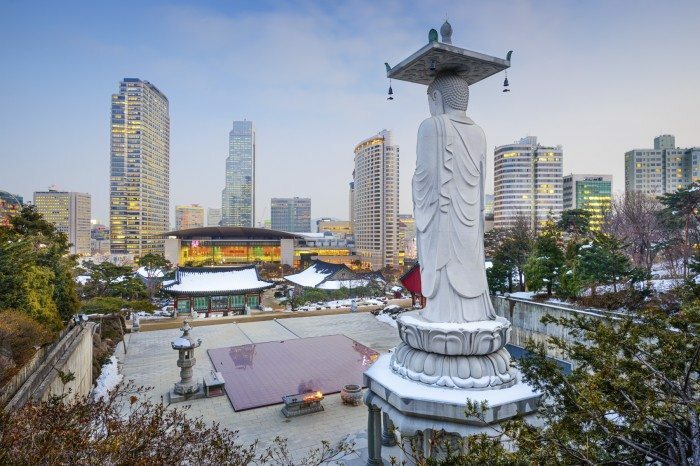 Fly direct from Singapore to Seoul on Asiana Airlines, Korean Air or Singapore Airlines. Flight time is just over 6 hours. 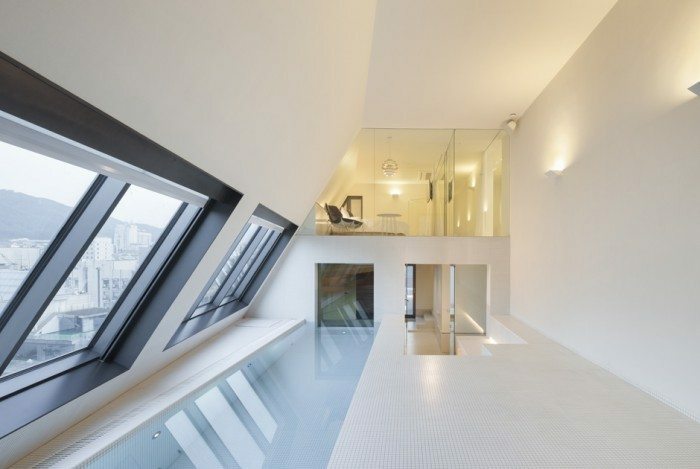 If you’re looking for a unique place to stay in Seoul, try Snow Hotel in Gangnam. 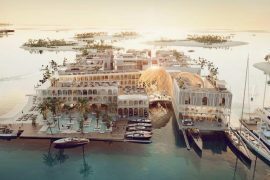 Each of the 51 rooms in this boutique hotel has its own unique decor from wood and marble to abstract wallpaper. 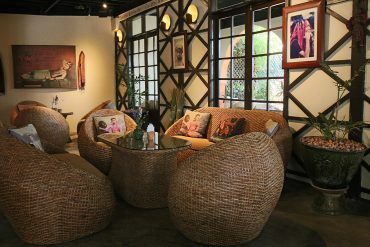 It’s located close to Seoul Arts Center, Hangaram Art Museum, and Jayu Theater.